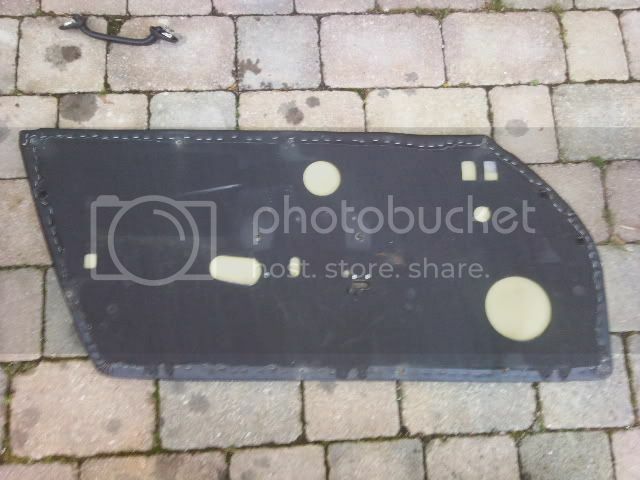 Interior :: RS Door cards? 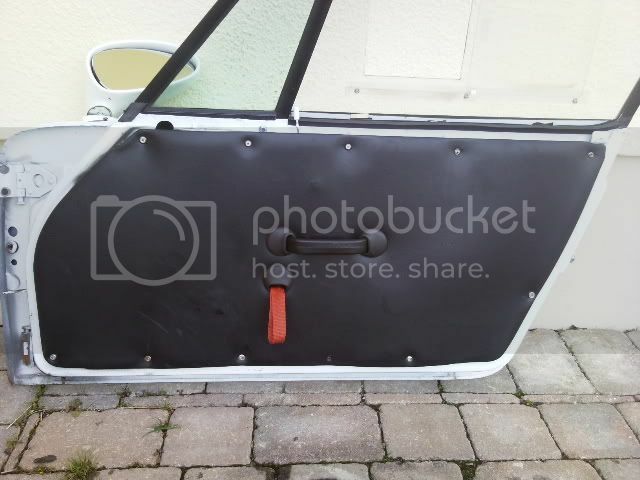 My Porsche 911 Forum > Interior > RS Door cards? They look home made to me! Sorry mate, not having a go, just my thoughts. Doesn't bother me, they were on there when I got it. I didn't say they were genuine! It looks like the boarding used for yours was a little too thin perhaps? Unfortunately it makes it look a bit lumpy from the furniture behind and around press studs etc. Im guessing they are home made ones? ie not appbiz or southbound. Im quite surprised there arent more aftermarket makers of the door cards considering the price those two companies charge for them. with cut outs, you just fix them as you wish. I could do with a pattern though, make life easier! I am not sure what the main material is, didn't look like fibre board though, wrapped in vinyl and stappled all round. 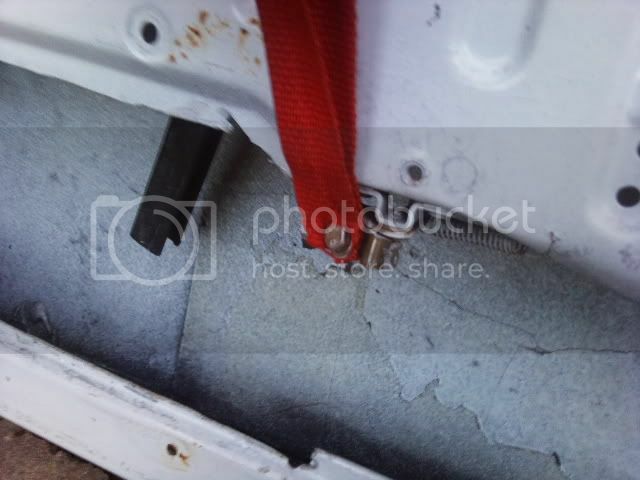 Red tag is attached with a 10mm bolt to original door pull. Thanks for that mate much appreciated. They dont look too difficult to make. Once you have a template I guess it all flows from that. I think that's going to be a future project for me. Hu have you got any pictures of that material? I have just been looking at carbon sheet to make my new cards but its a little more than I wanted to spend. Not got it yet, I'll let you know when I do. seems a fairly cheaper way of getting RS door panels than buying the pre-assembled jobbies. How much it costs according to market price? Did anyone find a cost effective solution to this? I need a set. You can make them yourself. MARKJ on here bought a nice set. Send him a pm. The RS ones are nice. How much are they.